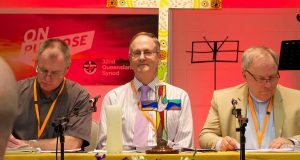 Queensland Synod General Secretary Rev John Cox has presented his report to the 31st Synod in Session. John said the report is a snapshot and highlights a few issues the church is facing in the future. 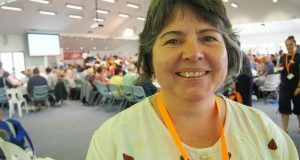 A recent review of the Queensland Synod’s ongoing Together on the way journey has brought up new challenges and opportunities. “The financial challenges that birthed the Together on the way journey were not the cause of our crisis, but a symptom … the Together on the way framework is well known, but does that mean it has been an unmitigated success? No. To believe so would be delusional … it’s an ongoing process of discernment which helps us have a conversation about our life together and what it means to be church. John also emphasised that continuing the Together on the way journey involves leadership renewal and development, as well as setting priorities and action planning with measurable outcomes. 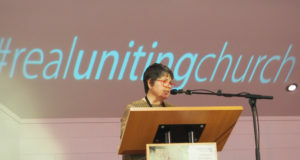 The challenge of resourcing ministry and mission was also addressed in the report. “Those questions [of resourcing] are constant. 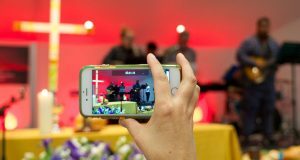 We have not yet constructed any kind of resourcing framework … we need to find a set of priorities that can guide and correct us and establish our focus as a Synod. “What is it that we want the Synod to do? What does the Synod offer the church to support the ministry and mission of the whole church? We have not asked those questions yet or ventured answers for them. “One of the things we lack across the life of the church is clarity [in all sorts of areas] we need to get to a place where the resourcing question is built around priority-setting. That will happen through having clarity on how we relate to each other and what our priorities are. It’s an ongoing challenge,” he said. 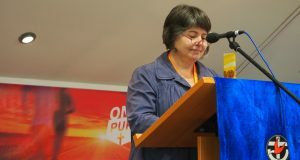 John also highlighted that the Queensland Synod had two major responses to government that have taken up considerable time and resources. 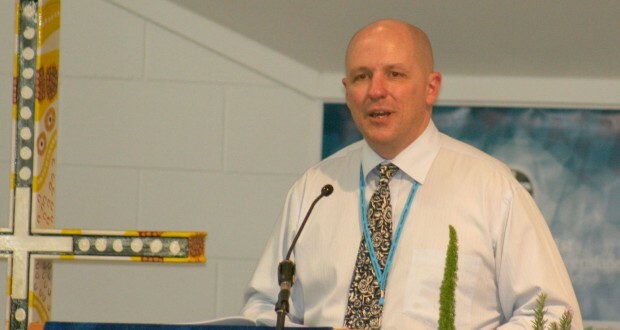 The Queensland Synod has responded to the Royal Commission into Institutional Child Sexual Abuse (and accompanying child-safe policy implementation) and the Australian Charities and Not-for-profits Commission in proactive, thorough and timely ways. 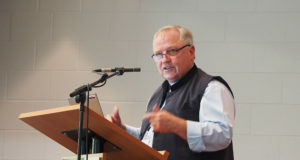 The General Secretary also highlighted impending major changes in management the Queensland Synod including the new Moderator, a new General Secretary, the retirement of Robert Packer as Director of Finance and Property in the Synod, and new chairs of the Finance, Investment and Property Board and the Governance Nomination and Remuneration Committee (GNRC). The General Secretary’s report finished with a minute of appreciation for the outgoing chair of the GNRC, Chris Barnard. After taking questions, John also moved for a minute of appreciation for the past General Secretary Dr Shirley Coulson, applauding her for the energy and creativity she brought to the role and the hard work and expertise she put into the Together on the way journey. The General Secretary’s report was passed by consensus.